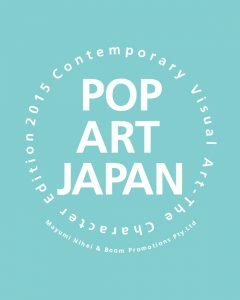 POP ART JAPAN is an introduction to 21 contemporary Japanese artists and a comprehensive catalogue their respective works. Altogether this volume introduces a total of 168 individual artworks depicting a variety of human, animal and character subjects. Each of the artists featured in this volume is a Japanese national currently residing and working in Japan, be they illustrators, graphic artists or other art-makers. Although based predominantly in Japan, a great number of the featured artists have previously exhibited on an international level, in solo and group exhibitions at a number of locations across America, Europe and Oceania. The artists in this book, the second in the series, offers highly skilled works consummate to the international stage. 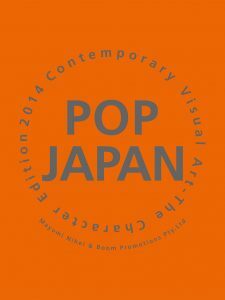 Introducing 25 Japanese Visual artists & their 190 works. Recently the keyword "Cool Japan" has become part of the international vernacular. fashion, art, animation, cuisine, architecture; these and many more aspects of Japanese culture, which are taken for granted by the Japanese people themselves, are being embraced overseas as unique and attractive. There is no doubt that the culture of a generation has a direct effect on the arts, and is some cases can give birth to brand new art forms. 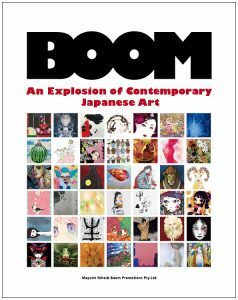 The artists introduced by BOOM are all Japanese nationals currently working in Japan. Their ages and modes of expression vary greatly. They have no reoccurring themes or genre. But each artist pursues a new method of expression and their work is continually evolving. They are quintessential "artists of the here and now" Through the artworks presented, BOOM invite you to experience the inherited traditions of Japan combined with the "je ne sais quoi" that is part of the very DNA of these Japanese artists. We sincerely hope that this book, spotlighting these "artists of the here and now", will bring alive the "breath of generations" in their art and spark your interest.